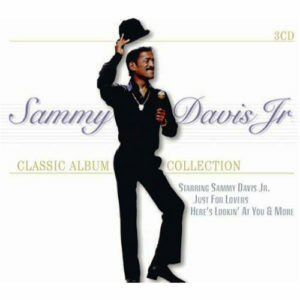 Where Sammy Davis, Jr.’s second LP with Decca had been an attempt at a ‘concept album’ (at the time an idea in its infancy), Sammy’s third solo LP, Here’s Lookin’ At You, collected together a seemingly random bunch of overlooked recordings and unsuccessful single releases. The 12 cuts on this LP were recorded across 8 different sessions from September 1954 to January 1956. The album, named after Sammy’s idol Humphrey Bogart’s famous film line, never amounts to much although it has some nice moments along the way. The primary issue is the song selection, which is something of a hodgepodge. All recordings feature orchestras directed by either Morty Stevens or Sy Oliver. Released after Sammy had been on Broadway in Mr. Wonderful for 5 months, the album contains a couple of showstoppers from twenty-year-old movies – “The World Is Mine (Tonight)” from The Gay Desperado, and “Love (Your Magic Spell Is Everywhere)” from The Trespasser – as well as a couple of standards in the Gershwins’ “A Foggy Day”, and Hoagy Carmichael’s “The Nearness of You”. 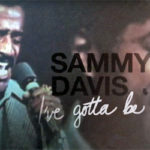 A few novelty numbers are thrown in, including “In A Persian Market” (with then-recent lyrics by Hal David) and “Just One Of Those Things”, which sees Sammy wheeling out his Sinatra impression. While the timbre of his voice is somewhat off – Sammy could sound like Dean, but not Frank – at moments he nails Frank’s intonation, for example on ‘that our love aff-air … was too hot not to cool down’. A further curiosity is “The Clown”, written by Paul Frees and Ruby Raksin, which is the lament of a secretly lonely socialite. 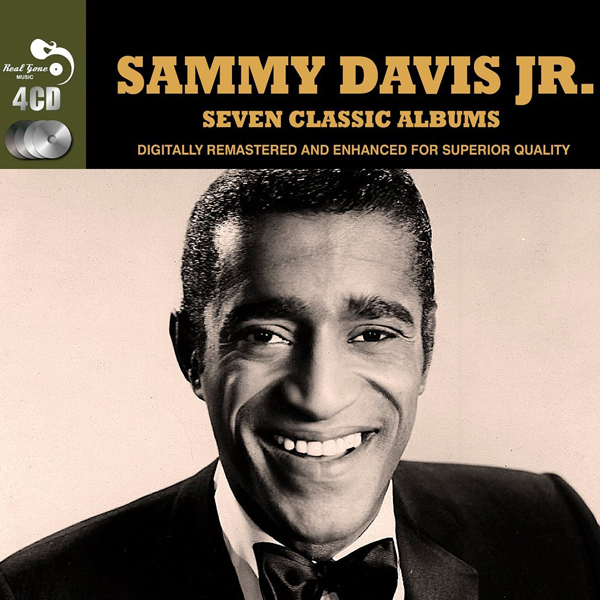 This recording would see Sammy begin to mine a rich vein of territory that he would explore throughout his career. In 1960 he would suggest to the movie magazine Modern Screen that part of the joy of being with his then-girlfriend Joan Stuart was that “with this girl I could let go of the clown face I’ve had to wear all the time, the clown face people always expect me to wear”. 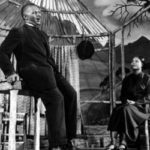 Of course, the finale of the final episode of The Sammy Davis, Jr. Show in 1966 saw Sammy seated singing “What Kind of Fool Am I” dressed head to toe as … a circus clown. Blues To End The Blues: OK, so it’s no “The Birth of the Blues”, but it’s still a rousing conclusion to the album and is given a Morty Stevens arrangement in the same vein. 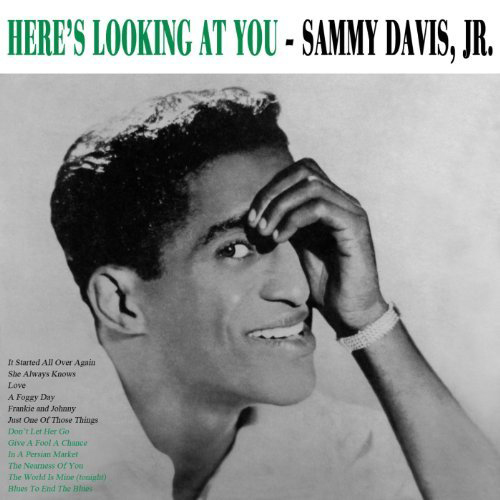 The Nearness of You: Sammy gives this one the laid back treatment, with some patter to start (“Here’s an oldie…”) and a small jazz combo for accompaniment. Sammy is still finding his way when he can’t just belt a number out. Don’t Let Her Go: An inoffensive ballad, with a trumpet-heavy arrangement and a barely perceptible touch of swing. The Clown: A fascinating novelty piece which sees Sammy visit his insecurities in song. With the final words ‘oh a clown and fool am I’, Sammy foreshadows future success with this theme. Here’s Lookin’ At You has never received an official CD reissue. It can currently be purchased digitally on Amazon. All tracks appear on the two multi-disc sets below, both unofficial European releases. Several tracks from the LP have appeared on various compilation CDs through the years. Collection of 3 Decca albums, plus other Decca singles as bonus tracks. Unlicensed, likely vinyl transfers. European budget label issue of 7 Davis LPs. Unlicensed, likely vinyl transfers.